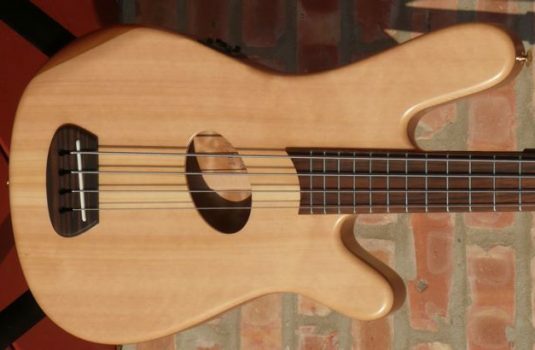 Players, this is one helluva bass! Great tone , a clear and beautiful voice!! 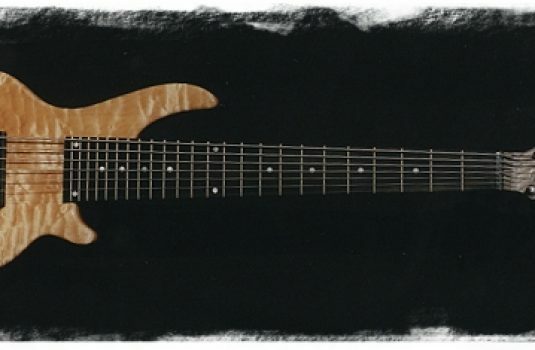 We have here a neck-thru 35″ scale neck, with the neck being primarily Maple with Purpleheart runners. The fretboard is a stunning piece of Cocobolo. 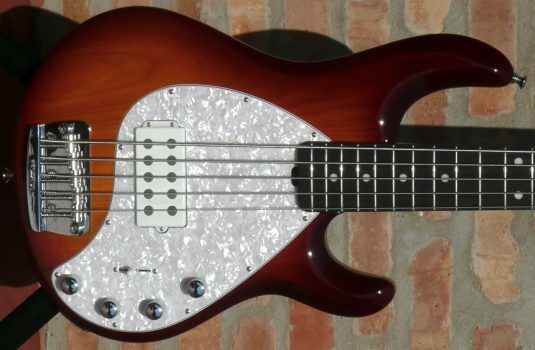 The body is Mahogany, but what is that topwood? 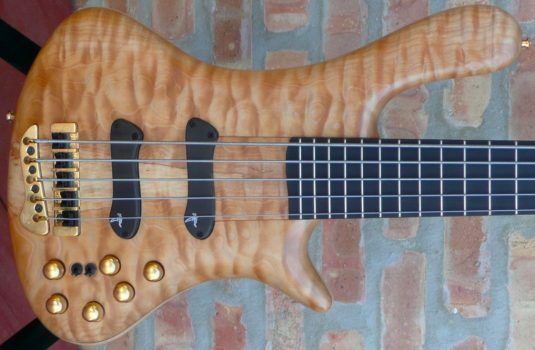 Full-faced Amboyna Burl, straight from Burma. Matching headstock veneer, of course. 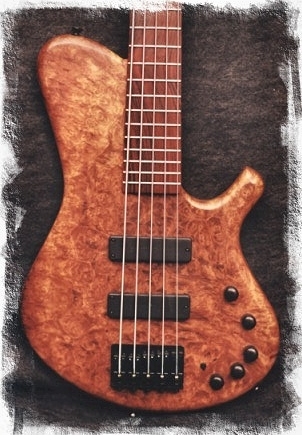 Electronics by Bartolini, with an NTMB pre and a pair of soapbars. The bridge is the new Schaller 2000, tuners are by Hipshot.